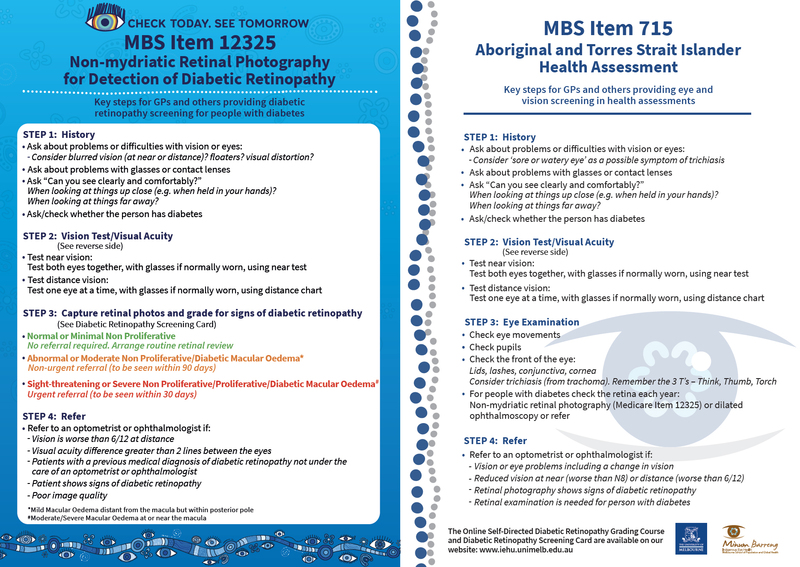 The MBS Item 715/12325 Eye Check Card is designed to support vision screening for Aboriginal and Torres Strait Islander people by outlining the key steps required for GPs and other health professionals providing eye and vision screening for MBS Item 715 and diabetic retinopathy screening for MBS Item 12325. Diabetic retinopathy screening for MBS Item 12325 (Non-Mydriatic Retinal Photography for Detection of Diabetic Retinopathy for Aboriginal and Torres Strait Islander people). 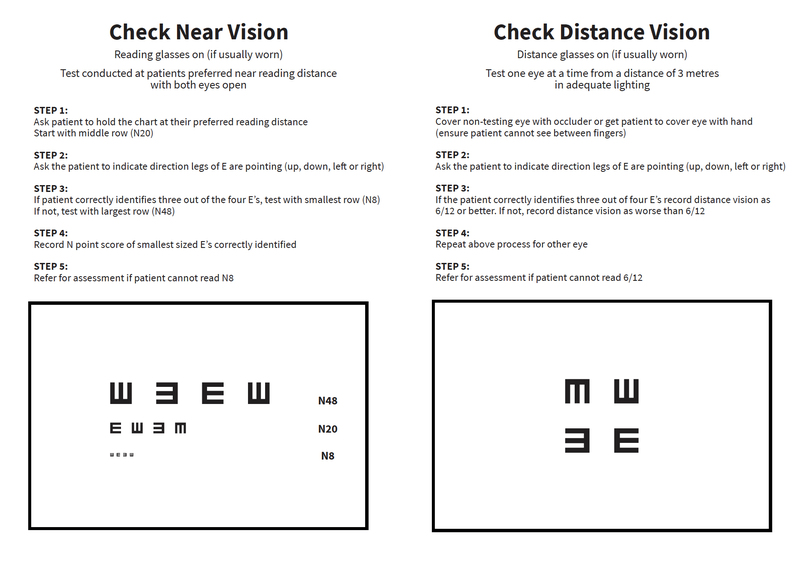 The resource also includes eye charts to check both near vision and distance vision as part of Step 2 of the vision screening. Additional resources that support the MBS Item 715/12325 Eye Check Card include Diabetic Retinopathy Screening Card and the Online Self-Directed Diabetic Retinopathy Grading Course.